The Mondaine Helvetica No. 1 (with labels in the namesake font) is based on the regular watch model of the same name but sprinkles some smart functionality. 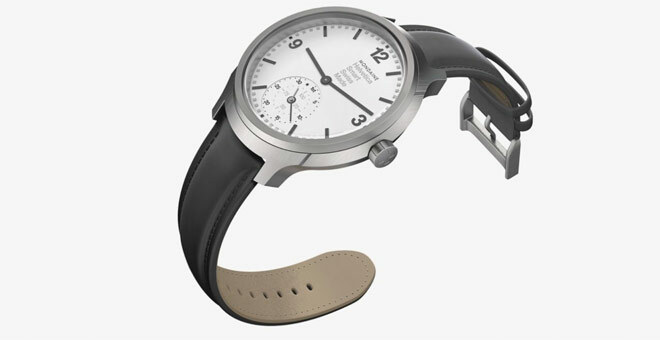 The Mondaine smartwatch will have a brushed steel case with a white dial and a sapphire crystal and a leather strap. It will launch this Autumn, but price hasn’t been announced yet. 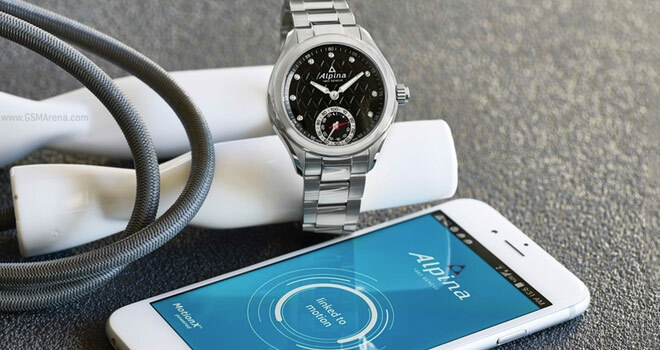 Frederique Constant and Alpina will launch over 10 models based on a shared platform. 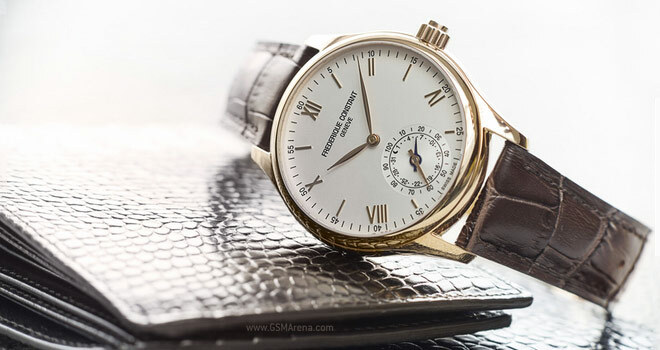 The FC watch will have a 42mm case plated with rose gold, a sapphire crystal and water resistance up to 5 ATM. All of these are built on the MotionX platform that handles exercise and sleep tracking. It’s also inside the Jawbone and the Nike trackers. It connects to an Android or iPhone over Bluetooth 4.0 and the battery should last over 2 years. The smartwatches feature a sub-dial with two hands that can indicate various numbers in analog form. These numbers can be the date or information from the activity and sleep trackers. There’s a lot of competition lining up. The Withings Activite watch is similar in design, but designed by a French company (made in Switzerland though). Swiss company Montblanc has different ideas about how to integrate smart functionality into a beautiful watch. Swatch wants in too.